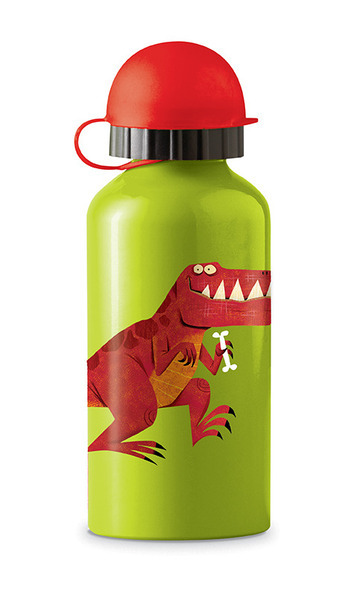 These beautifully-illustrated, eco-friendly stainless steel drinking bottles are great to use with water, juice, or milk. Perfect for school, sports and camp. An earth-friendly, reusable alternative to plastic and other epoxy lined metal containers. 100% recyclable. Made of #304 food grade stainless steel. Lead safe, Phthalate, and BPA free. Holds up to 13.5 oz (400ml). Bottles are 7″ H x 2.5″D. Hand washing recommended. Ages 3 & Up. Crocodile Creek products conform to all of the appropriate safety standards. Tags: bottle, drink, recyclable, stainless, steel, water.